Aimed at smaller living spaces, the lamps are designed to offer flexibility while taking up a small amount of room. Their name, Yuh, refers to the phonetic form of "you". 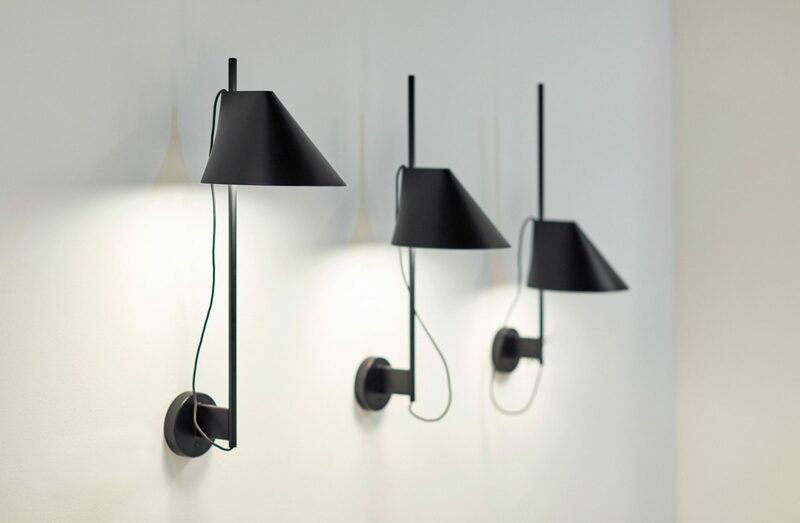 Available in wall, floor and table versions, each of the lamp models can slide all the way down their supporting stem, and the shade can also be twisted. "We think that being able to direct the light according to its own needs is an important quality in this typology of a lamp," GamFratesi told Dezeen. The studio also looked to the geometry found in classic Danish design by the likes of Arne Jacobsen and Poul Henningsen while creating the Yuh collection, which was unveiled during Milan design week. "The lamp allows movement and rotation, but it was essential for us to maintain a strict aesthetic, avoiding all the technical elements typical of a classic task light," added the studio. "The shape of the shade is naturally drawn following the movement and functionality of the lamp: a circle and a line." The lamp's supporting tube conceals a switch and dimmer, and the collection is available in either white or black finishes. GamFratesi was set up by Stine Gam and Enrico Fratesi in 2006, after the pair spent several years working at various architecture practices. The Copenhagen-based studio mainly designs furniture and lighting, and has collaborated with brands including Gebrüder Thonet Vienna and Ligne Roset. The duo also recently designed a series of metal wire animals for an Apple Watch Hermes window display in Japan. Louis Poulsen's origins date back to 1906, when Louis Poulsen took over a tools and electrical supplies business in Copenhagen. It launched its first lighting design, by Poul Henningsen, in 1924. The brand is known for its dome-shaped Panthella lamp by Verner Panton, which the company reissued in 2016 as a collection of smaller, brightly coloured editions. Other recent lighting releases from Louis Poulsen include a set of pendants by Clara von Zweigbergk that recall hot-air balloons.